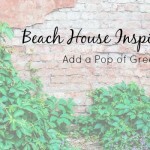 At Cottage & Bungalow, we love decorating with rich greens that resemble the lush verdant hues of palmettos and beach grass. The bright colors of the sea give us never-ending inspiration when it comes to finding our voice in coastal decor. 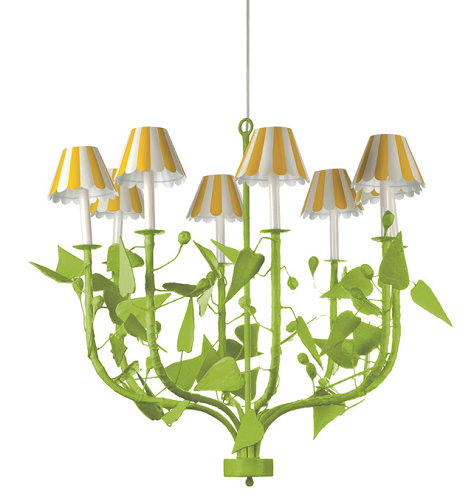 And this is why we’re proud to offer an assortment of stunning chandeliers spotlighting the verdant hues of the shore. 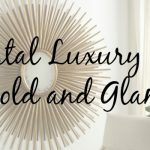 Take a look at some of our favorite selections below. Our lovely Dauphine Chandelier sports semi-precious turquoise beads with a choice of finish in brushed nickel, polished nickel and pale polished copper. No two turquoise bead is alike, which contributes to the chandelier’s unique look. 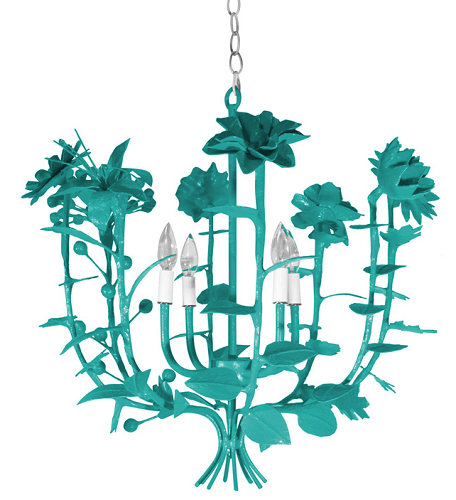 Make a bold statement with our Terrell Swan Bahamian Chandelier. This eclectic piece features an amazing bouquet of handmade paper mache flowers. 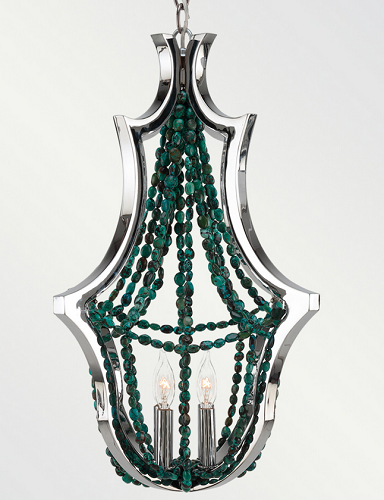 For a festive option, consider the Renata Chandelier. Also made with handmade paper mache flowers, this chandelier is hand painted in Douglas Fir green and comes with our Scallop Chandelier shades. 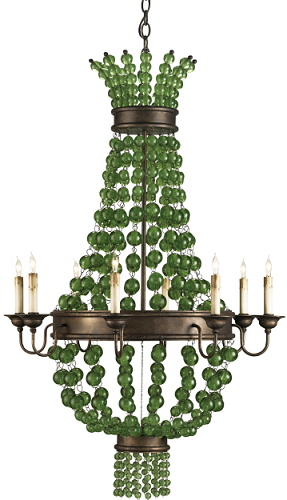 Fittingly named, our Green Goddess Seaglass Chandelier casts light from eight light bulbs and features draped orbs of green glass. 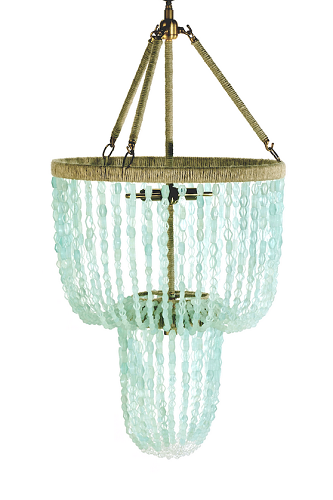 This graceful chandelier can easily become the focal point of any coastal-inspired home. With a nod to the Art Deco era, the Carmen Recycled Glass Chandelier is constructed of recycled beaded glass and is available with either silver or brass accents. 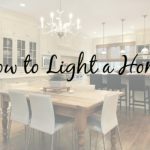 Shop for all these chandeliers, and browse through our many furnishings and coastal decor options, right here on the Cottage & Bungalow website. 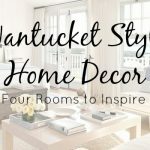 For more coastal style inspiration, visit our Pinterest page.